At the end of last year I was feeling very hopeful about 2018. Think good thoughts and good things will come, right? Well, January wasn't exactly easy and this year is off to a rocky start but I am staying positive because a couple of weeks ago I read something and it got me thinking... I spent the majority of last two years feeling like I am running behind/ running out of time but the truth is everyone has their own timeline. 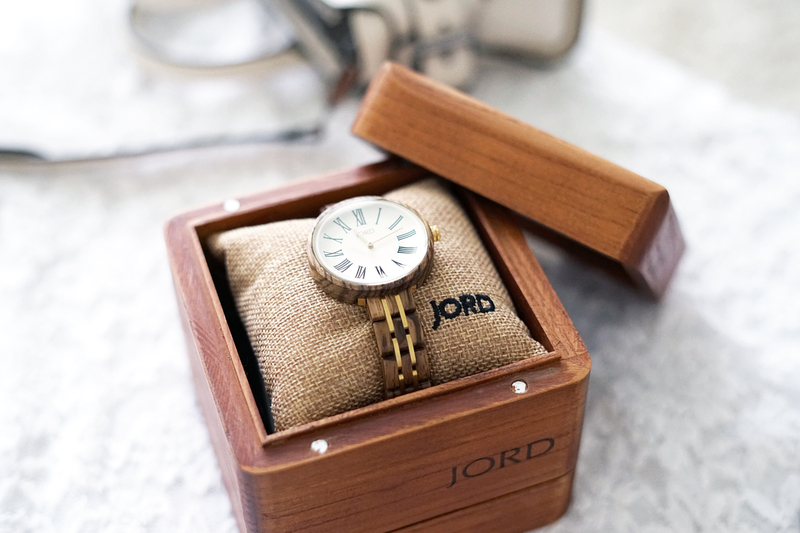 Not only is this beautifully crafted JORD watch a functional piece but it also acts as a good reminder that my time will come. 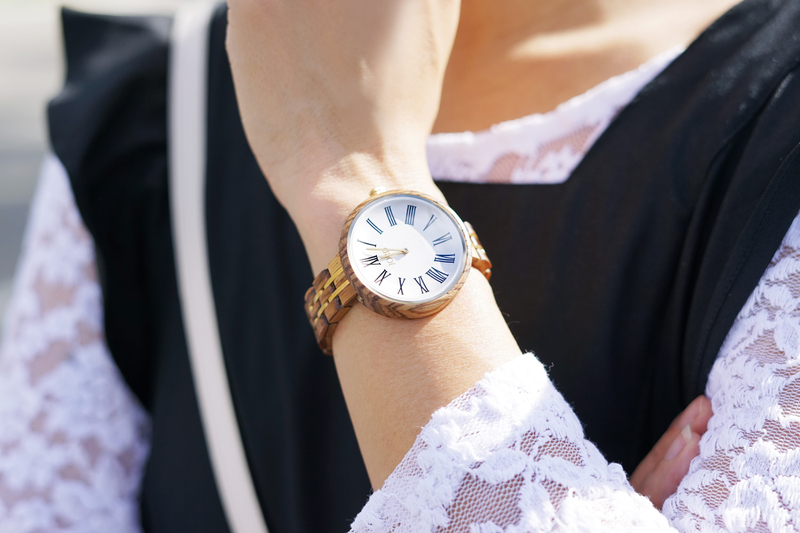 The Cassia watch has a simple and classic watch face in a domed sapphire glass paired with the most gorgeous wood and metal interlaced band. Such a unique and timeless piece and it even comes in three different colorways! Mine is zebra and ivory but there are also ebony and sable, walnut and vintage rose, as well as olive and aegean blue. Time is precious, I just need to focus on the things I love and keep pushing and when it's the right time, everything will fall into place. And since Valentine's Day is right around the corner, JORD and I have teamed up to show you some love. We are giving away $100 to one lucky winner to spend on the JORD site and you also receive 10% off just by entering! So what are you waiting for? Enter here. Cassia zebra and ivory watch c/o JORD. 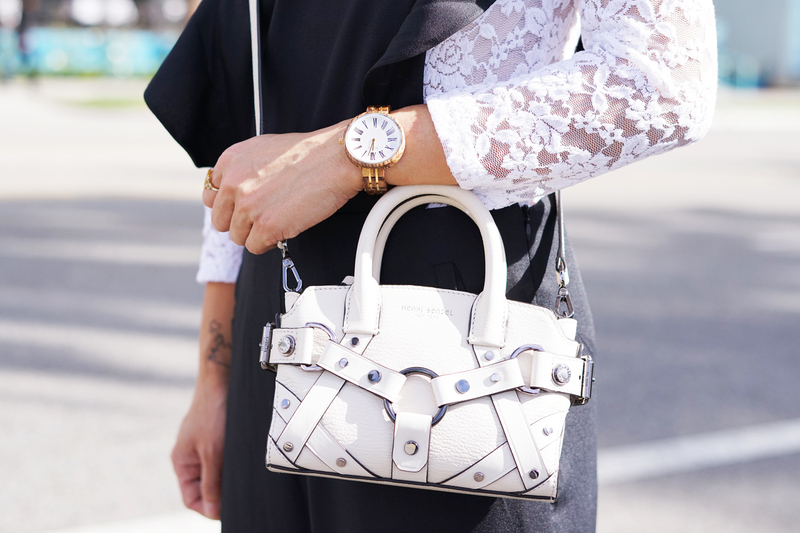 Carlyle micro harness satchel c/o Henri Bendel. Ruffle jumpsuit c/o Entourage Clothing. Sheer lace bodysuit from F21. Pearl embellished leather pumps c/o Pour la Victoire.